1 Charles Fraser: Australia, NSW, Balmain. 3 Bobby Fulton (c): Australia, NSW, Manly, Eastern Suburbs. 4 Viv Farnsworth: Australia, NSW, Newtown, Western Suburbs. 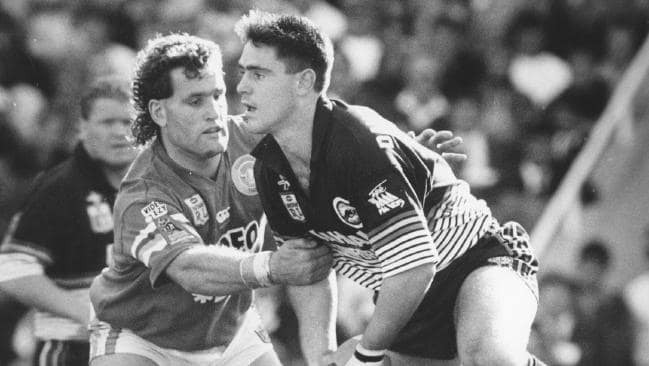 6 Brad Fittler: Australia, NSW, Sydney, Penrith. 7 Frank Fisher: Wide Bay. 8 Frank Farrell: Australia, NSW, Newtown. 10 Mario Fenech: NSW, South Sydney, North Sydney, South QLD. 11 David Furner: Australia, NSW, Canberra. 13 Greg Florimo: Australia, NSW, North Sydney. 14 David Fairleigh: Australia, NSW, North Sydney, Newcastle. 15 Andrew Fifita: Australia, Tonga, NSW, Cronulla, Wests Tigers. 16 Bill Farnsworth: Australia, NSW, QLD, Newtown. 17 Israel Folau: Australia, QLD, Melbourne, Brisbane. Next Remember the legend of one-hit American Greg Smith?